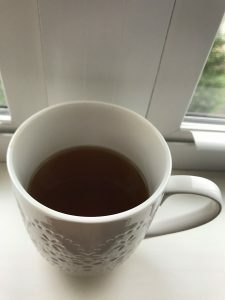 As I am sipping my cup of green tea, I am just thinking about all the wonderful benefits my cells are getting from it. Green tea, comes from the plant Camellia sinensis. It has been used for medicinal purposes in China and Japan for thousands of years and now has become popular all around the world. There are many varieties of green tea. Sencha is the most popular one. My favorite is Matcha green tea. The plants grown to make this variety are shaded for two weeks to increase chlorophyll levels before the leaves are picked, further boosting concentration of healthy compounds. What are those protective compounds? Polyphenols, are substances that fight free radicals, damaging compounds in the body that changes cells, damage DNA and even cause cell death. Catechins are specific Flavan-3-ols found in green tea. EGCG( epigallocatechin-3-gallate) is known to assist with weight maintenance. It boosts thermogenesis and suppresses appetite. That’s a lot of wonderful benefits . To get maximum benefit I recommend drinking 2-3 cups of green tea daily for getting 240-320mg of the beneficial polyphenols. Make sure to steep your tea for at least 3-5 minutes to bring out the powerful catechins. Green tea alone won’t improve your life span or protect you from disease . Quality of your overall diet is really what’s most important and your lifestyle. There are also several harmful effects of green tea over-consumption that are possible. These include tainted supplements marked as green tea extract, high caffeine consumption, effects of polyphenols on iron bioavailability. People sensitive to caffeine should be careful of their intake. Pregnant women should drink no more than 1-2 cups a day due to the caffeine content. My cup of tea is done. Enjoy yours 🍵. Have a great day everyone.